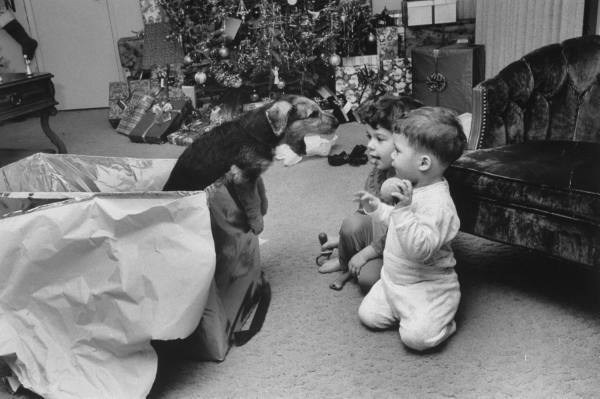 It may not be practical, but oh, giving a puppy to the kids for Christmas is adorable! 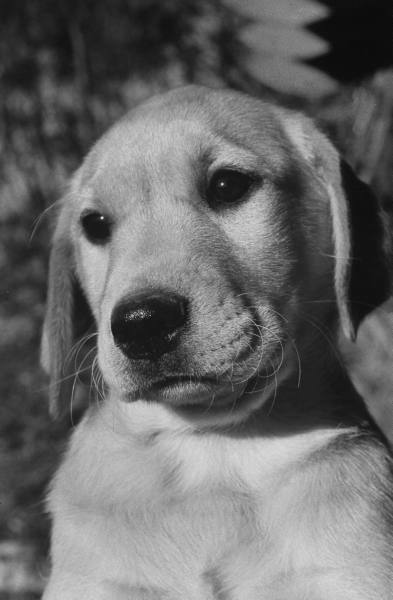 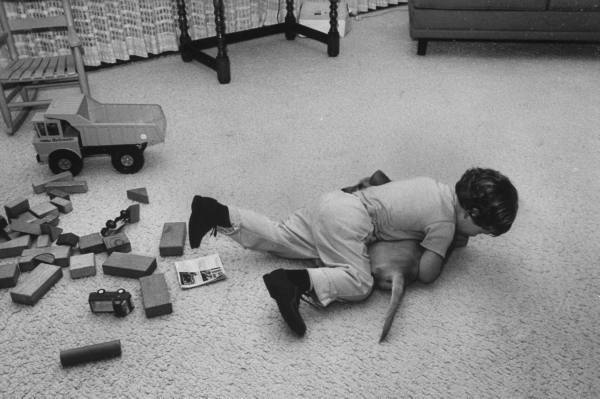 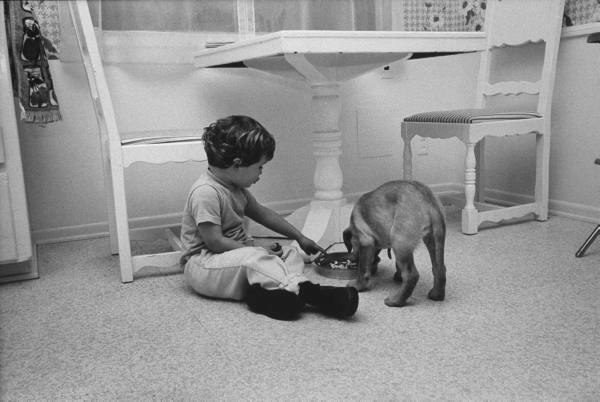 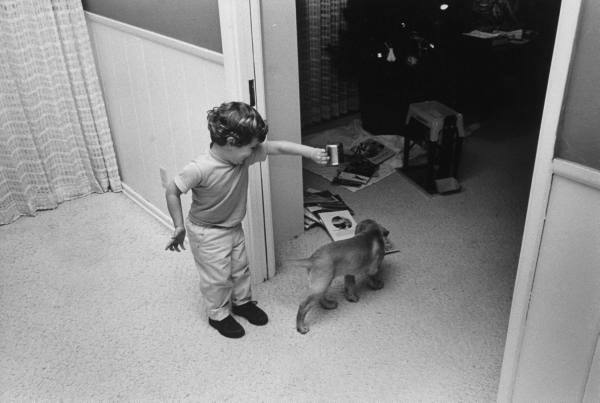 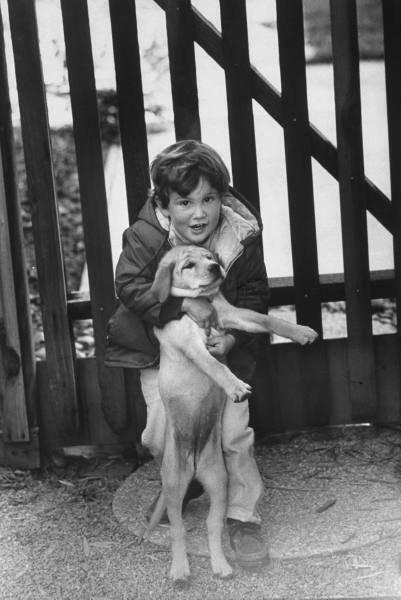 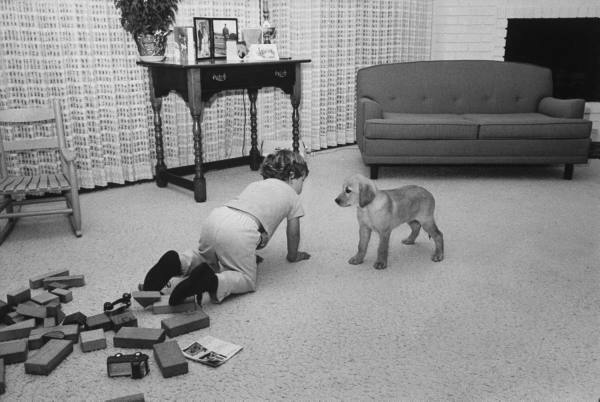 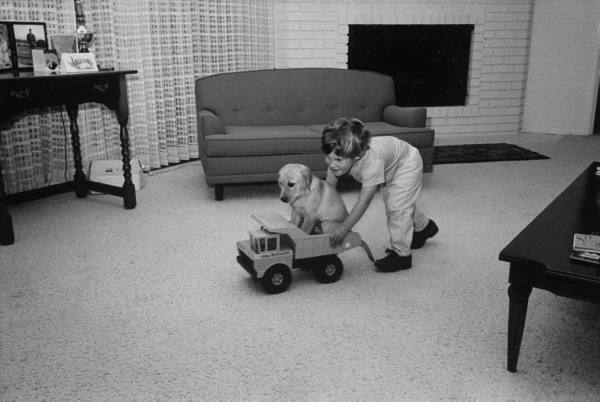 A series from LIFE-- the first photograph is an Airedale terrier and Raymond and Susie McFarland, while the rest follow 2 and 1/2 year old Sandy Nickerson and his new Golden Retriever puppy. 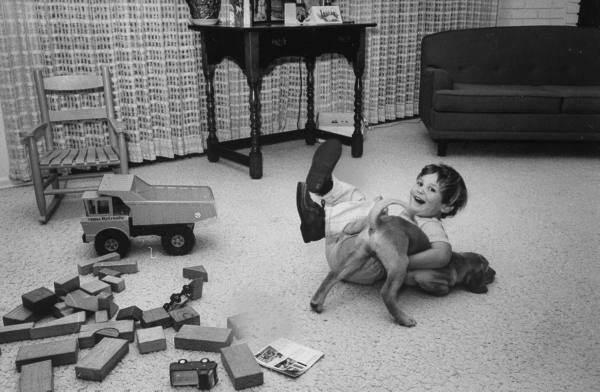 1972, USA.